fashionmix: Which one is your fashion icon ??? Which one is your fashion icon ??? what you guys think ? I just did a post on TTH, I love her and think she has one of the strongest fashion week looks. She is always pulling off everything, ah! We really love the outfits so much! Each outfit is so gorgeous! Everyone in this post deserves to be chosen as their fashion icon! Thank you for this very wonderful post! We love it very much! Do we have to choose? They're all equally fabulous! i'm following you! !beautiful anna dello russo!!! I love the inspiration! Olivia is my favorite!!! No dout! For me, Olivia!!!!!! Love Alexa's style! Cool post!I'll wait for you to come back visit me! I can't choose either..all of them always look good ! They're all very stylish but my fav is Oliva Palermo! 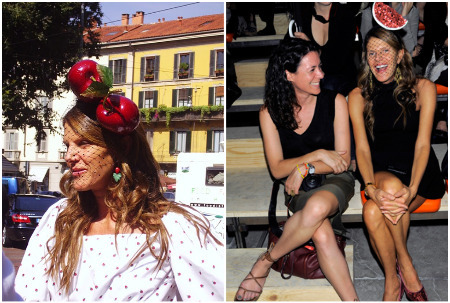 Anna Dello Russo is the second one. I love this post and also your blog! I looooove Olivia and Alexa. They're both great! my favorite is taylor and olivia! love them both so much! Wow you picked amazing style icons! I'd have to say Alexa Chung or Taylor Tomasi Hill. They're awesome. Loving your blog. I'm a new follower. Hope to hear from you soon! Close competition between Olivia and Taylor. 10 საიდუმლო, რომელიც ყოველთვის მიმზიდველსა და მოდურს გამყოფებს !! !